As New York's primary approaches, many voters are trying to make sense of the 2016 presidential race. For local artists, some want to do more than just understand, they want to influence the outcome of the election. And the candidate who has probably generated the most attention and reaction? Donald Trump. Vishavjit Singh, an illustrator and Sikh activist, encourages his followers to send postcards to the Trump Organization. Some of the messages have been predictably snarky, but some are genuinely earnest. "It has to have a touch of compassion, because that's how you connect," said Singh. Not everyone countering Trump is quite so well-intended. For the modest fee of five dollars, one artist dressed as Donald Trump . For 300 bucks, you can urinate on him. Nicholas Mirzoeff, a professor at NYU and author of "How to See the World," said Trump is "a character, and he never breaks character." As there is a a sort of performance to his candidacy, Mirzoeff says this makes Trump a particularly tough challenge for artists to respond to. Rather than going after Trump, Mirzoeff suggests artists would do better countering the divisiveness and anger in the country by bringing people together to engage in discussions, and even, to have fun again. Should the U.S. ban Muslims from entering the country? Is radical Islam bent on taking over America? Ten or fifteen years ago, questions like these were largely relegated to the political fringes. Now, they help define the campaigns of the two leading Republican candidates, Donald Trump and Ted Cruz, who are competing in the New York primary on April 19. The candidates are voicing ideas that come from a deliberate and well-funded campaign to convince the country that even regular, law-abiding Muslims represent a threat to national security. The campaign kicked into high gear in 2010 in New York, with the opposition to Park51, also known as the 'ground zero mosque.' While some protesters saw the project as an affront to the memory of those who died on 9/11, others took it a step further, arguing that it was a 'victory mosque' meant to celebrate the attacks. Despite the considerable misinformation spread about the project and the people behind it, the controversy helped ignite a wave of opposition to mosques across America: in places like Sheboygan, Wisconsin, Temecula, California and Murfreesboro, Tennessee. At the same time, state legislators started passing laws to ban Sharia law (usually couched as a ban on foreign law), often in states with relatively few Muslims. One of the principal players in this movement is Frank Gaffney, a former official in the Reagan administration who runs the Center for Security Policy, in Washington. He's now a foreign policy advisor for Ted Cruz. Gaffney's security think tank funded the website run by Pam Geller, a leader of the opposition to the ground zero mosque. He also helped stoke right-wing suspicions that President Obama is Muslim, has accused a variety of both liberal and conservative public figures of doing the bidding of the Muslim Brotherhood, and that mainstream Muslim-American organizations are actually fronts for foreign jihadi networks. The theory of 'civilizational' or 'stealth jihad' argues "that Muslims are going to immigrate to the United States and gain access to various levers of control, especially in Washington," said Nathan Lean, author of The Islamophobia Industry: How the Right Manufactures Fear of Muslims. " And will ultimately engage in the grand destruction of the United States and the usurpation of the Constitution." This theory flies in the face of the research: the conservative Manhattan Institute that Muslim immigrants in America are extremely well-assimilated. But Gaffney and others within the Islamophobia network, as critics have dubbed it, have seen their influence grow, and penetrate into the mainstream. While he was still running for president, Ben Carson a central claim of the network, that Islam encourages believers to lie in order to achieve their goals. The network is well-funded: according to the Center for American Progress, it draws upon in foundation funds. The Council on American-Islamic Relations (a frequent target of anti-Muslim activists) has estimated that between 2008 and 2013, private donations brought the figure closer to $200 million. Sometimes the attention has backfired. Last year, after the deadly Charlie Hebdo attacks in Paris, Steven Emerson of the Investigative Project on Terrorism went on Fox News and claimed that Europe was filled with 'no-go zones,' each of which function as a "country within a country" and is allegedly off-limits to the police. The claim was made repeatedly on the network before an international backlash prompted Fox News to issue a retraction and apologize. "American Islam bashers talk about the alleged no-go zones in Europe as 'our future,'" said Mark Potok, a Senior Fellow at the Southern Poverty Law Center and a leading expert on extremism and hate. "And, in fact, a number of them have even made the claim that there are no-go zones in Dearborn, Michigan, which is, of course, the largest concentration of Muslims in the United States." Even though it's "utterly false," Potok said, the rhetoric comes against a backdrop of actual terrorism, in Brussels, San Bernardino, Istanbul and other cities. He worries about the effect Cruz and Trump are having at a precarious moment. "The fact is, there are millions and millions of people who are frightened. And this kind of talk frightens them more. And frightened people often do very dangerous, and bad things." On the surface, the of the awards show Sunday night by Jada Pinkett Smith, Will Smith and Spike Lee are about one thing: recognition. After all, actors of color want to feel acknowledged for their work, along with directors, screenwriters and everyone else. But the rancor being felt in Hollywood is about much more than awards. 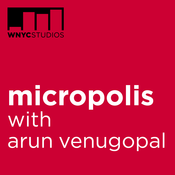 As we explore in this episode of Micropolis, it's also about access, to wealth and power, much of which is concentrated in highly-exclusive (and white) circles. "The ability to shape the media landscape is an enormous amount of power," said Frances Negrón-Muntaner, Columbia University professor and author of 'The Latino Disconnect: Latinos in the Age of Media Mergers.' "And groups of people don't tend to give up their power, just like that." Among the many striking aspects of the 2016 presidential race is this: 'political correctness' is regularly touted as one of our greatest societal evils. But it's not just Republican candidates: 68 percent of all Americans think 'P.C.' is a big problem, according to . The question is, why? In this episode [click "Listen" above], we explore how the policing of language can cause anxiety for many of us, while also forcing us to think about race and gender and other issues. Additionally, we turned to people who think about words for a living—writers—and put this question to them: Does "political correctness" shape today's art and expression? And if so, is that a problem or a necessity? Below are just a few of their responses. Feel free to weigh in! 1) Mohsin Hamid , author of How to Get Filthy Rich in Rising Asia and frequent contributor to the NYT Book Review. “I think power shapes language : what we can say, what we choose to say. And of course power shapes art. ‘Political correctness’ is just a description for certain ways in which some aspects of power are affecting language. There are many other ways. Think of what happened to Jeremiah Wright, President Obama's former preacher, when he violated the norms of ‘patriotic correctness’ in his sermons that were posted online. A firestorm. There are also issues of ‘religious correctness’ that one faces in, for example, Pakistan, where I live. The list goes on and on. And no artist is unaffected by them. ” 2) Branden Jacobs-Jenkins , playwright, An Octoroon and Appropriate, says: 3) Teju Cole , pictured below, author of Open City and photography critic at The New York Times Magazine. “I must have missed when political correctness enslaved human beings , killed them with infected blankets, exiled them from their homes, prevented them from voting, sexually assaulted them , and destroyed their neighborhoods with malign economic policy and bad policing. We have a number of very serious problems — ongoing issues or the aftermath of historical issues — to think about; political correctness is not one of those serious problems. I personally love political correctness because a vehement opposition to it is a pretty reliable way of flagging those who want to be jerks about other people's pain without having to pay any social price for being so.” Teju Cole (Martin Lengemann) 4) Young Jean Lee, filmmaker and playwright ( Straight White Men ), says: 5) Julia Alvarez, author of How the Garcia Girls Lost Their Accents and A Wedding in Haiti. “The writers I most respect are inclusive and diverse and their works include and even humanize politically-incorrect characters . (Just think of Flannery O'Connor's!) These writers do not legislate or promote a certain point of view, but they increase our level of awareness about the world we live in. I love the Chekhov quote that the task of the artist is not to solve the problem but to state it correctly. A character might be racist or a situation in a story unpalatable, even offensive, but if these work in the service of the story/poem, then an artist should not censor herself with other considerations. But writer has to have a certain level of awareness, even if her characters and the situations they are in do not. We, as readers, have to feel that those deeper issues are being addressed and a more capacious vision being sought.” 6) Manil Suri , author of The City of Devi and The Death of Vishnu. “Political correctness is such an obvious and juicy target when artists allow themselves to fall victim to it that I feel it should be one's moral duty to go after it with the sharpest implement available. I'm sure I succumb to it myself on occasion (being Third World and gay and a person of color, etc) but can only hope someone shows enough mercy to puncture the 'art' that results.” What do you think? 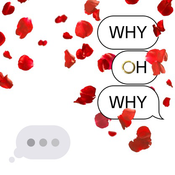 Listen to my question and then click on "Reply" and tell me. We may use your comment for a future story! 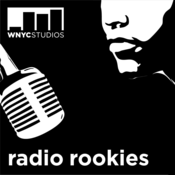 Lyt til Micropolis, Radio Rookies og mange andre stationer fra hele verden med app'en radio.dk.